Saturday 1 December was the final leg of the Bluegrass Horse Feeds unregistered winter league hosted at Portmore Equestrian Centre. The six-week winter league came to an end on Saturday with some fantastic results and with Bluegrass Horse Feed goodies up for grabs. Riders competed in three out of the five weeks held throughout October and November, to be in with a chance of winning these brilliant prizes. Each class was themed with a Bluegrass Horse Feed product and vouchers where given for every double clear each week. 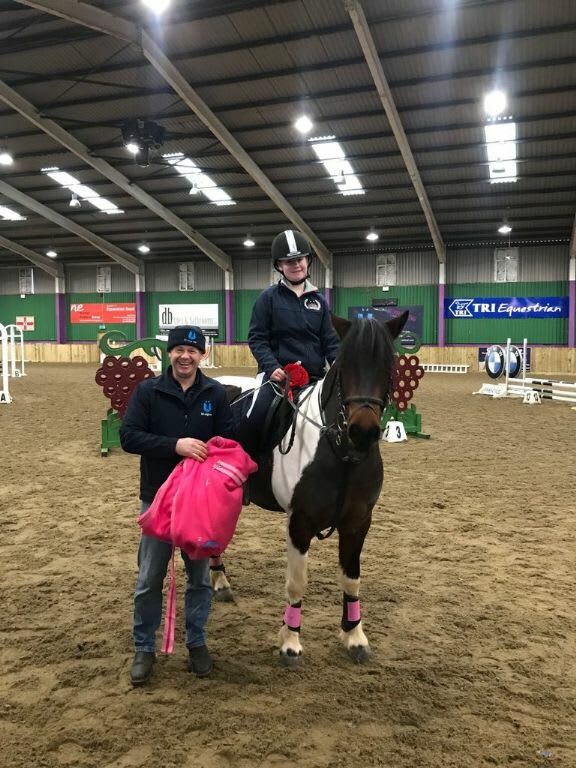 It was greatly supported over the six weeks, with a friendly environment, riders where able to jump in this unregistered league in the award-winning equestrian centre. Bluegrass Horse Feeds MD, Kenneth Irwin spoke about the league “It is a great experience for riders to jump around tricky courses in a friendly environment”. Bluegrass Horse Feeds where proud to sponsor this league.